There a few ways to get around Apple’s firewall that cuts itself off from the Bitcoin ecosystem. Sure, there aren’t any Bitcoin wallets on the App Store, but that does not mean that all is lost when it comes to spending bitcoins in real life. 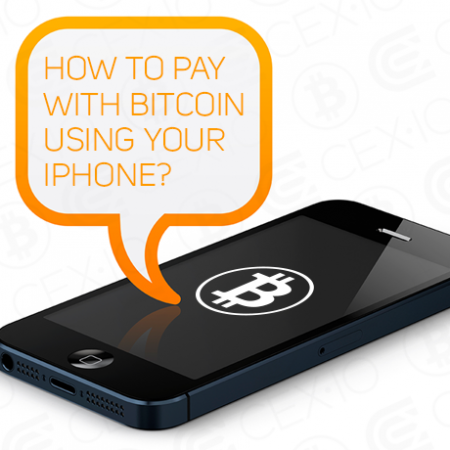 People have been managing to pay for things with their iPhones for the past few months, even if they don’t have one of the old Bitcoin wallet apps. Let’s take a look at some of the best options available if you want to get around Apple’s unjust restrictions. If you’re a Bitcoin purist, then the Blockchain.info wallet is probably going to be the best option for you. Although the official Blockchain app was removed from the App Store in early 2014, you can still access your Blockchain.info wallet from the comfort of your mobile browser. You will find all of the same functionality from the full app when you visit http://blockchain.info/wallet, so there’s really nothing to worry about as long as you know how to navigate a mobile browser. Blockchain will continue to improve their mobile browser wallet until Apple finally decides to come to their senses and allow Bitcoin wallets on the app store. If you’re using a jailbroken iPhone, then Apple won’t be able to restrict the types of apps you decide to put on your phone. For example, the official Blockchain.info mobile wallet app is available on TheBigBoss.org, and you can still download it today if you’re running a jailbroken version of iOS. Blockchain is not the only Bitcoin wallet available for jailbroken iPhones, but it is still the most widely used Bitcoin wallet on iOS. It’s important to remember that jailbreaking an iPhone can open up new security holes, so it may make sense to go with another option. In addition to the HTML5 and jailbreaking solutions, there is also the possibility of sending bitcoins with a simple SMS text message. Most major Bitcoin wallets, such as Blockchain.info and Coinbase support this kind of integration, so this is an option you can always turn to if your Wi-fi or data connections are letting you down. All you need to do is connect your Bitcoin wallet to your phone number, which usually isn’t a problem since it is likely already configured for the purposes of two-factor authentication. At the end of the day, people will always find a variety of different solutions to get around Apple’s questionable restrictions. Whether you have an iPhone or an old flip phone, it would be difficult for the manufacturer of the hardware device to stop you from sending text messages to certain individuals. It seems like you are missing one of the greatest parties in the IT and overall business world. Time to get in the game and please your Bitcoin-friendly users by allowing official wallets within the AppStore.